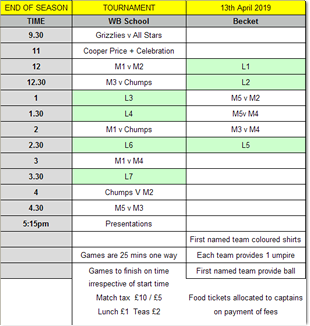 Please bring both shirts - click on the timetable below for a full sized version. 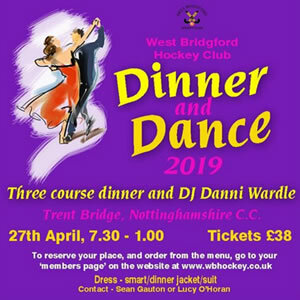 If you want to book a place, please complete this form and then email Paul Sibley paulsibley77@hotmail.com telling him that you want to register. Sad loss of a club member and friend. The Club is saddened to announce the death of Mark Gray on Monday 4 March. Mark, formally of Grantham HC, came across to Bridgford in his rather unreliable porshe, with goalkeeper Will, and played for the 5ths and Vets for the last few seasons finishing at the end of April 2018. A strong defender, who gave everything in his tackling, and sometimes a little too much, and it always amazed the rest of the team that he never seemed to know what a green card meant or where he had to go, despite collecting them on a regular basis. Very much part of the banter, he will be sorely missed. Some of the 5ths players attended his wedding in July 2017, and our thoughts, love and prayers are with his wife Monika. Funeral is on 29 March in Grantham. Speak to Geoff Bail if you wish to attend. Ladies Back to Hockey is now taking a summer break but will be back in September. Look out for our Family Hockey Nights in July, details on here soon. Congratulations to Mike and Lyndsey Berry on their marriage on 22 Dec. Matt and Karen Alvey on birth of daughter Ada on 19 Dec. Rich and Lorna Bonsall on birth of son Samuel on 30 Dec.
STEPTOBER - who is the fittest? 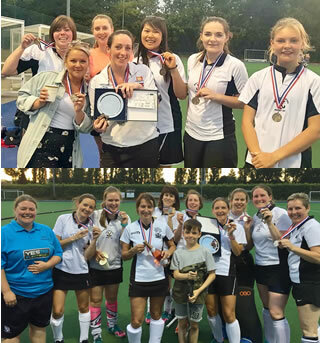 West Bridgford A and B finish second and third in the Lady bay summer sixes. We're taking a break now until February. Watch this space for details in the New Year! 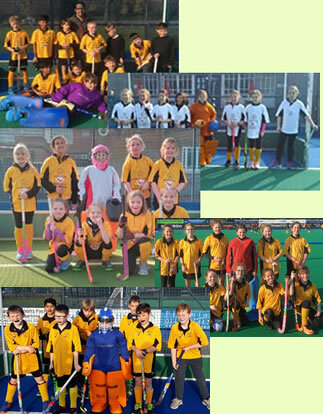 Looking for a new hockey club? 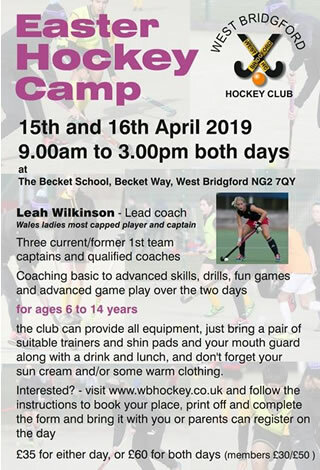 Just click on link to right to join, or contact geoff@wbhockey.co.uk or Martin 07768 526594 or Liz 07887 768665. We run 10 mens sides and 6 ladies sides plus numerous Vets, Juniors and mixed sides. Our Mens 1s are in the Midlands Premier and our Ladies 1s are in Notts Premier. 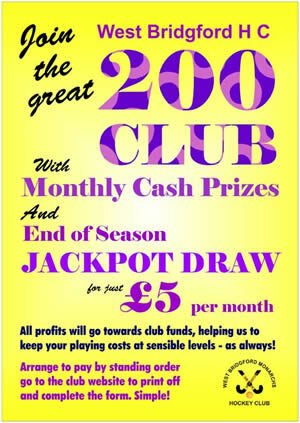 We have a good social side, and well known for the real ale served at our Clubhouse. If you have not played for years, or want to give it a try, look out for our 'Back to Hockey' family sessions running in July and August (details below). Formal Club training starts from August (see diary section to right) - new players, just turn up at West Bridgford School, and the Juniors start from September 2nd at Becket School at 9.00, (see junior page for details). 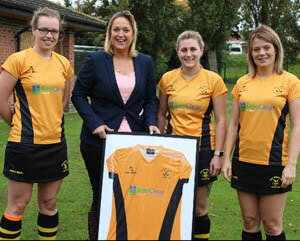 Many thanks to Kate at Bee Clear Ltd - the new sponsors of the Ladies 2nd Team Kit. Congratulations to Robyn, Sophie and Laura and the other team members in getting their lovely new kit sponsored. 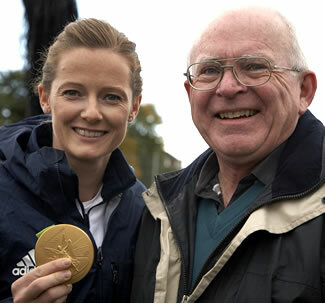 Kate and Jason from Bee Clear were invited to a brief "thankyou" ceremony and to watch the victory over Boots Ladies. Cakes were also supplied for the Chairman, so the morning was a win win win for everyone (except Boots). Details of all our sponsors can be found on the FRIENDS page. Click here for slideshow. "You will need some insulation tape on that"
Thank you to everyone who came to take part and to help out today. The weather was nothing like as bad as forecast and everyone (I think) had a great time. Special thanks to Helen who patiently signed autographs and posed for photos all the time that she was with us. No doubt Geoff will be putting up some of these photos on the website. 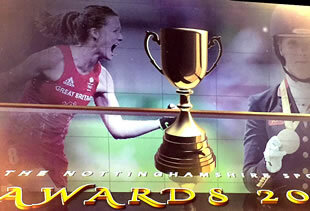 For me, I will be making special trips to Bridgford just so that I can travel on Helen's No 8 bus! Many thanks to Andy & Zak Pendlebury for the brilliant images. Availabilities - please use your members record for this. Adults re-starts Monday 7th January 7.30 sharp - 9.20. at WBS. 1sts and 2nds on Thursdays from 3 January 7.30pm by invitation. Junior Boys and Girls - Sundays from 9.00, starts from 2 September AT BECKET SCHOOL. See Juniors page for more details. Geoff has continued to write an account of Coops from a personal angle, which may be of interest to his friends and family. Installments #1 2 and 3 are here . 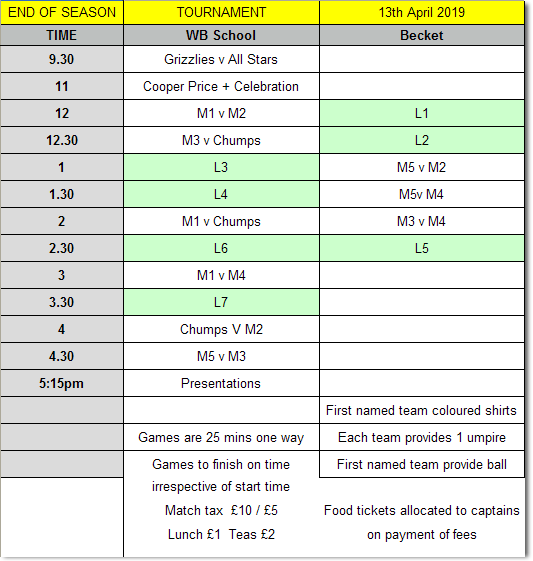 13th April - tell your captain you want to play. Please note that Fantasy Hockey will not be running this year due to spiraling costs. Many thanks to Sibbo for his work in previous seasons.